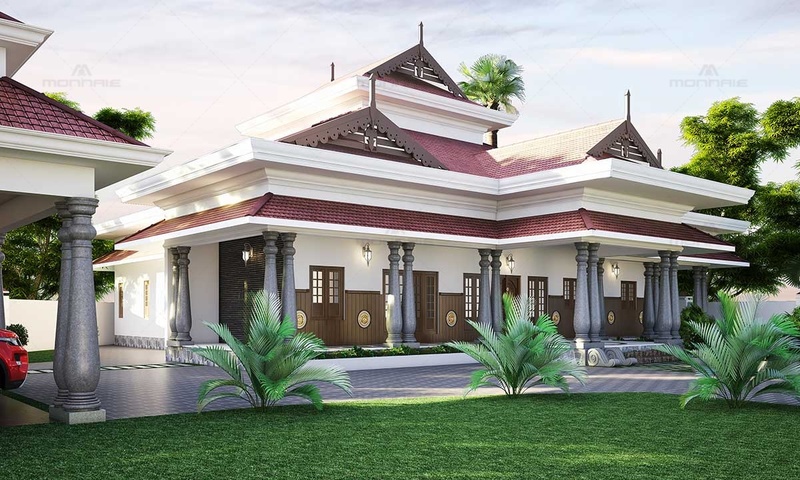 Located in the beautiful town of Nemmara, Palakkad, this single story house with a roof is a beautiful representation of Kerala style Nalukettu home design. One of the highlights of the project is the courtyard and to highlight it double height has been provided. 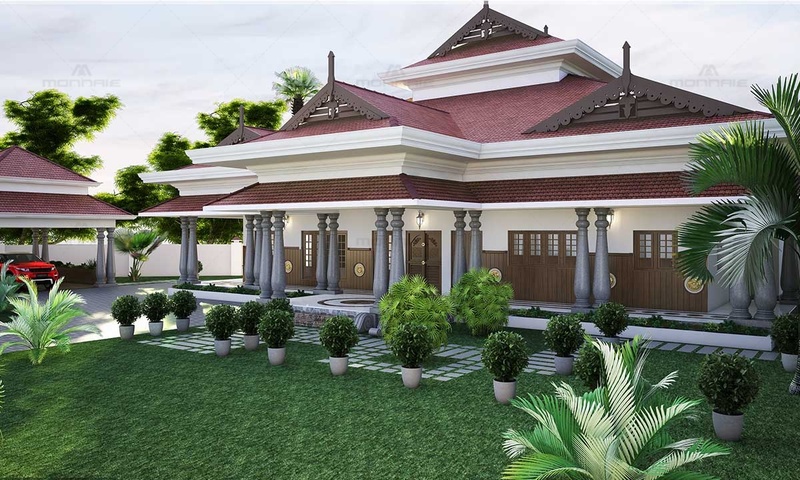 To get the typical Kerala traditional look more focus has been given to Verandah and It has been highlighted using natural granite pillars with a traditional touch. Wooden planks using teak has been used on the walls as part of panelling to get the Kerala touch. The ‘Poomukham’ has been highlighted using traditional stone carved elements. Inbuilt RCC gutter has been used to collect rainwater rather than the regular one to increase efficiency and sustainability. 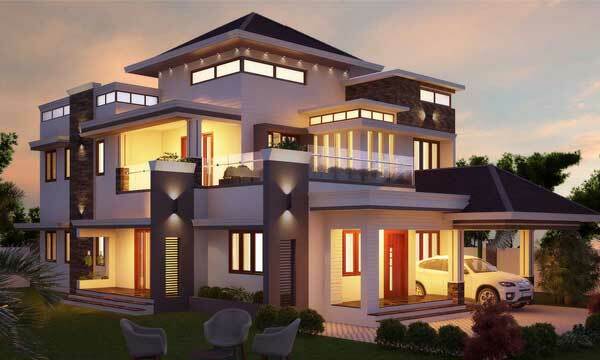 To highlight the roof ‘Mughappu’ has been used. It is made up of mild steel but to get a wooden feel, powder coating painting has been used. 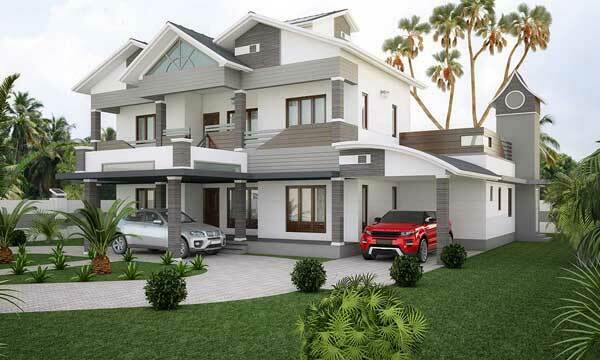 The garage of the house is also designed in Nalukettu style to match with the house. 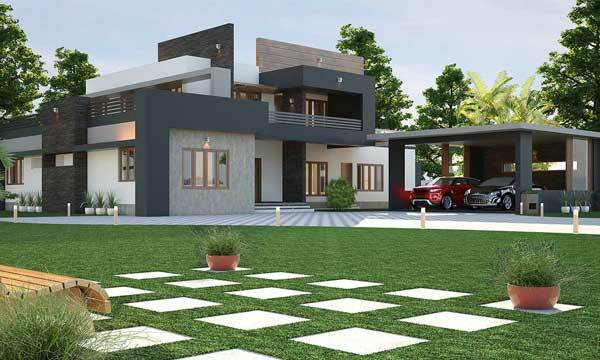 Being one of the top architects in Palakkad, Kerala, we have beautifully blended the traditional ornamental design elements to arrive at this architecture brilliance.